Now you can have the weapon of choice by the greatest Bio-Organic warrior. Feature all of her moves with this zombie slashing and massive kukri set. The 20 in. 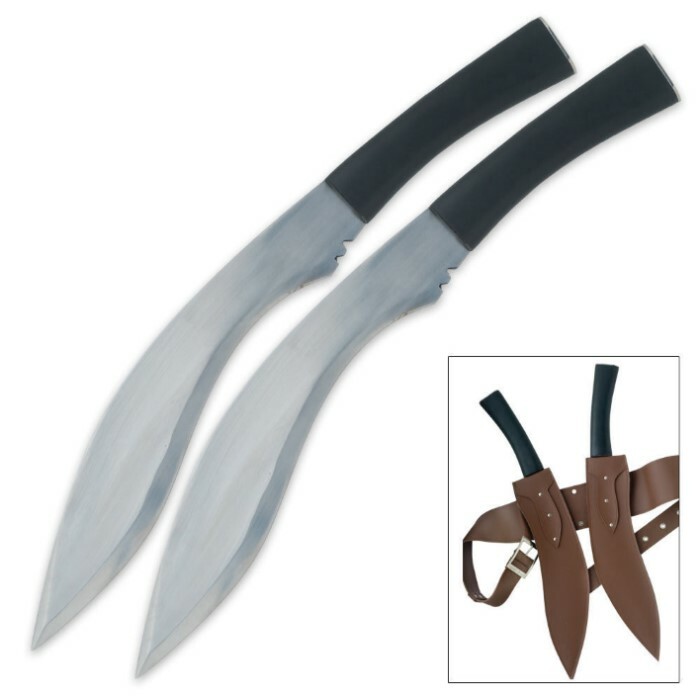 stainless steel blades come equipped with a stunning brown belt sheath.